The 2016 Subaru Outback named to the Car Guide’s (Le Guide de l’auto) annual Best Buys list for seventh straight year. This topped the Mid-Size SUV under $50,000 category. 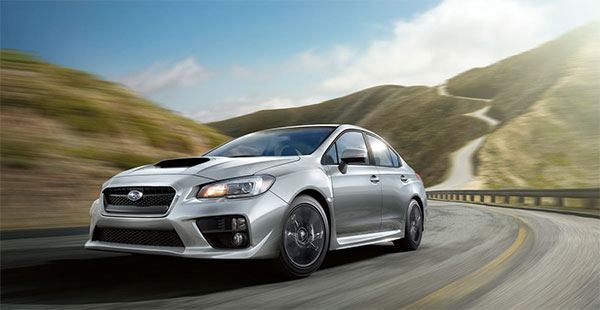 Additionally, the performance-focused Subaru WRX was given a second place mention in the Best Buy – Sports Car and Coupes under $50,000 category. Subaru Canada, Inc. (SCI) is pleased to announce that the 2016 Subaru Outback has been named as the Car Guide’s (Le Guide de l’auto) Best Buy – Mid-Size SUV under $50,000 category. The Subaru Outback provides car-like handling, yet the versatility of a much larger vehicle. These capabilities make even the most adventurous drive feel unexpectedly civilized. Its styling reinforces its tough and rugged personality, while its interior offers refined materials and friendly technology. The Outback has capability mastered and considerable comfort well in hand. Further to the recent acknowledgement from Car Guide, the Subaru Outback was also given the nod by the Automobile Journalists Association of Canada (AJAC) last Fall, awarded the Best New SUV/CUV (Under $35,000). Other accolades that the Subaru Outback proudly boasts are the ALG (formerly Automotive Lease Guide) Residual Value Award, Midsize Utility (2 row) Segment (for five consecutive years) and the Canadian Black Book Best Retained Value Award in the Mid-Size Car Category. Additionally, at the Car Guide’s announcement the Subaru WRX was named second in the Best Buy – Sports Car and Coupes under$50,000 category, while the XV Crosstrek and Impreza were also honourable mentions in two other groupings, the Compact / Sub-Compact SUV category, as well as the Compact Car category, respectively. For 50 years, the Car Guide (Le Guide de l’auto) has been the largest automobile publication in Quebec and is the publication of choice for those considering a new vehicle purchase. To earn a place among the Best Buys, a car or utility vehicle must be evaluated on strict criteria. The criteria includes the following categories; fuel consumption, reliability, security, multimedia system and interface, daily driveability, and overall appreciation among many others. After independent evaluations take place, an editorial consensus is made to determine category winners. Click here for a complete lineup of Subaru models.